You don’t always travel with the same amount of luggage. Sometimes, you’ll just need the carry-on, and other times you will require a check-in suitcase. For those bigger or more important trips, then you may need all of them. Regardless of what luggage you will be taking on your next trip, you want to look stylish, and you want something that’s durable. To us, it seems a no-brainer that you would want to look at the best luggage sets for men. Getting an affordable luggage set that is also stylish and durable will make all of your travels a lot easier. 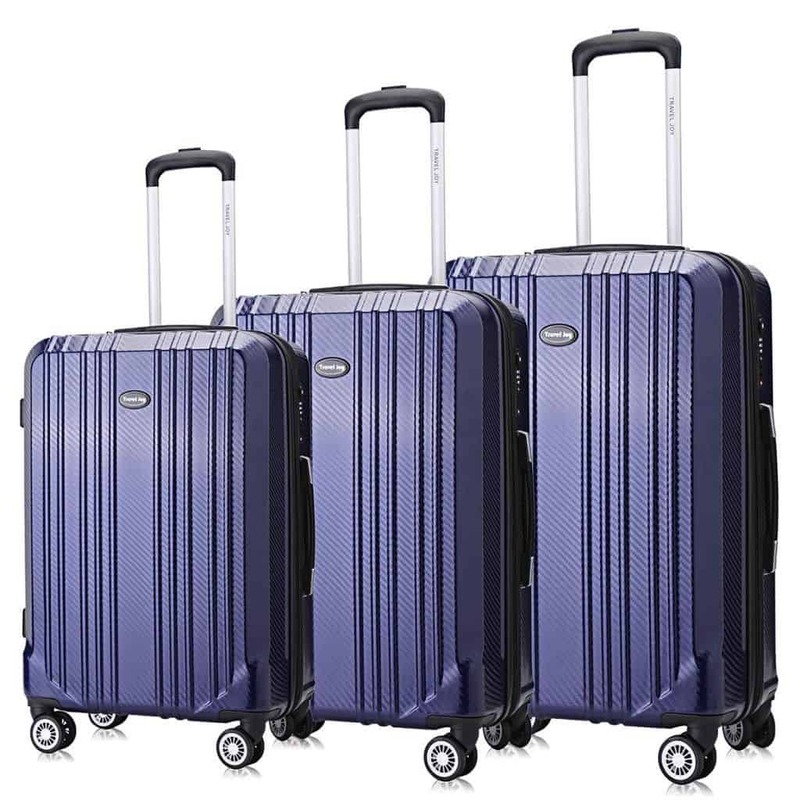 If we take this luggage set as an example Coolife Luggage Expandable Suitcase 3 Piece Set we can instantly see that you’re getting a great combination of style and function. 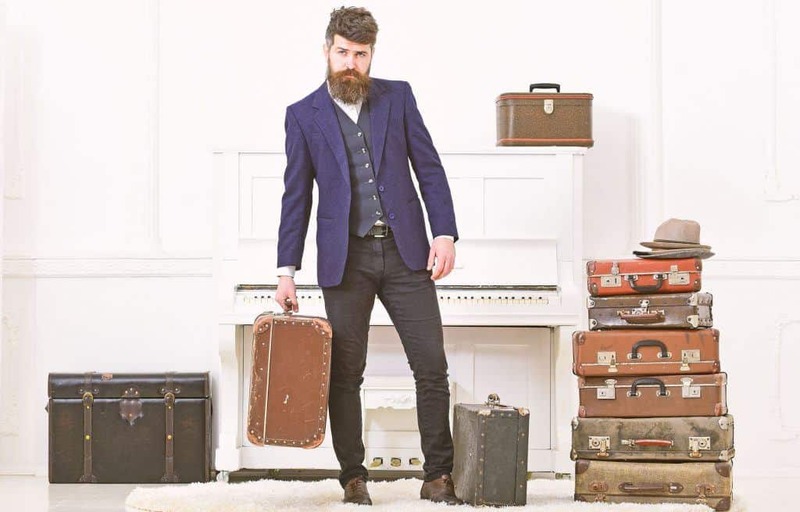 Not only will you be able to take all of your things traveling without a bother, you’ll also look great doing it. And let’s be honest, you owe it to yourself to look great whilst you travel. Even though that link above is a great example, there’s even more out there, but finding the luggage case that’s perfect for you can prove to be difficult. It is not always a simple process. In order to make your decision-making process easier, we want to make this article as informative as possible. Here, you will find the top luggage set considerations and top luggage buying tips. On top of that, we will be providing a list of the 9 best luggage sets for men. Quality is the supreme being. If you’re not buying quality items, then you’re going wrong straight away. The way we see it is that, in the example of luggage sets in particular, if you’re going to buy something to keep your stuff safe, why would you not make sure that it is not as great as possible? If you just skimp out and buy any old luggage set, then you probably shouldn’t be surprised when half of your personal items are left in tatters on the floor after airport security have thrown it halfway across the terminal. For luggage to be worth your time, you need to invest in quality. If you are investing in other parts of your life, then your luggage needs to be part of that gang. There’s no point in having a case that cannot keep your things in perfect condition. The style and color of a luggage set is nearly as important as the functionality. Even though some of us would love to give it the whole “I don’t care about the looks as long as it gets me from A to B”, we still care about the way we look. If we’re strolling through international departures with a carry-on case suitable for an 80-year-old woman, then we may have made a mistake. Ultimately, we need to be looking at the quality of an item before pulling the trigger. You wouldn’t skip it with a house or a car, and you shouldn’t do it with a luggage set either. 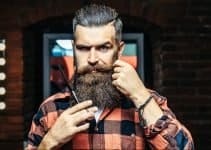 Fortunately, with this article, there will be no excuses, as you’ll be filled to the brim with top quality suggestions. The second thing you should be looking out for is the durability of the luggage set. After all, if you are just going out and buying any case, there’s no guarantee that it’s going to survive longer than one trip. It is massively important that you invest in a luggage set that is going to be worth investing in. This ties in perfectly with the quality of the item. That makes sense, considering good durability is an indication of good quality. Even though a case may look alpha male, that does not mean that it is going to withstand any heavy usage. If, after you’ve been on one international trip, your suitcase has a cracked shell and ripped zipper, then you’ve probably bought the wrong set. Instead, do some research into the materials and brands that go out of their way to provide their customers with the greatest build quality. This is sure to give you the guarantee that you can travel without fearing for the safety of your items inside the case. 3. What type and style do you go for? Another thing to consider before you buy your luggage set is the type and style. Even though, on first thought, it may seem like there cannot be many styles, that’s untrue. You could be looking for one of the best spinner luggage sets, the best 2-piece luggage set, or something else altogether. The point here is that you need to make up your own mind before shopping for your perfect set. There’s absolutely no controversy in suggesting that you’ll more than likely to be disappointed with your purchase if you just buy something because we’ve said it’s good. Instead, make sure that it suits your preferences and that you’ll actually love it. Even though it is only luggage, you want to be happy with your choices. If you are someone who only travels light or on weekends, then you may be looking to get the best lightweight luggage sets. Alternatively, you could just be someone who loves a guarantee, and so you spend your time only buying from the top brands. Whatever your style preference, you should take this into consideration when purchasing your luggage set. If you’re completely opposed to hard shell cases, then you’ll be heavily disappointed when one arrives in the post. We don’t want to kid you. Price is important. In fact, it’s probably one of the most important things that you should consider before buying something. If you can’t afford it, don’t get it – regardless of the quality. On the other hand, we strongly believe that you should always be leaning towards the generous side of budgeting, particularly when it comes to something like your luggage set. A good, strong luggage set can truly last years. It will do you good for hundreds of trips. With this in mind, it is worth shelling out that extra bit of cash, so that you can rest easy knowing that you’ll not have to buy another – not for a while, anyway. The alternative option is to just buy the cheapest set that you can find. Whilst some may be specifically looking for the most affordable luggage set, the majority of us can afford to buy something a little bit extra. Obviously, it all comes down to your specific budget, needs, and requirements. If you are someone who’s particularly strapped for cash, then you just have to go for the rest of your abilities. However, we believe that it would be worth noting that there is never any need to push the boat out and spend more than you feel comfortable doing. As with anything, some brands are better than others at making specific things. Companies like Nike and Adidas are jacks-of-all-trades when it comes to sportswear, and then there are companies that are the kings of luggage. You need to do a bit of digging, but once you find some reputable brands, you will feel safe spending your money on their cases. Buying luggage sets with your hard-earned money will become considerably easier once you’ve picked out a brand that you can trust. For many, the buying process becomes simpler and safer once you’ve found a brand that you can trust. Other people’s opinions are important. That’s why you are here. You have most likely clicked on this article because you care about what we have to say about luggage sets, and you hope that our opinions can help to shape yours. Similarly, we feel that you should use customer reviews on products to shape your opinions. Obviously, it is not always possible to just walk straight out and test out your new luggage set before you buy it, so often you just have to trust what others think. If you can go onto a luggage set’s reviews and see that it has thousands of positive reviews, then you will feel a lot more confidence in your decision than if you are just reading about a product with only 2 reviews, and one of them is dodgy. 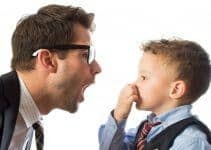 Other people can tell you a lot about what you’re going to think about a product, and whilst you should always take them with a grain of salt, they genuinely can help you. 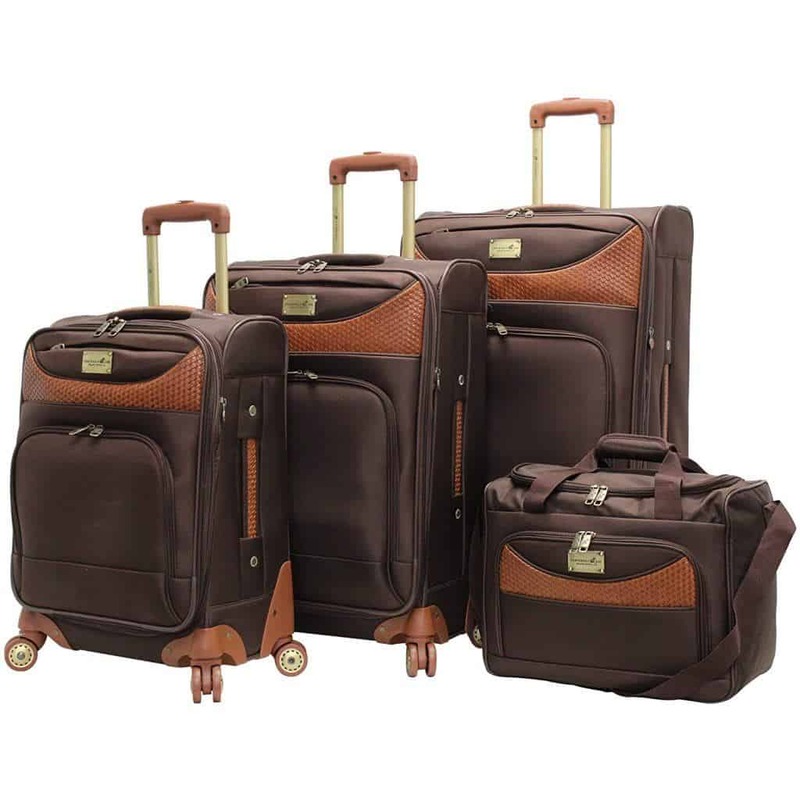 This 3-piece luggage set is absolutely classic and oozes style. With just a first glance, you can see that these cases look especially great, and many of us would love to walk around the airport wheeling them around. Whilst we are massive fans of the regular grey option, there are multiple color options that all look fantastic and can suit whatever look you are going for. The material itself is extra strong and ABS. That ticks off the demand for durability and quality, as it is massively important for our suitcases to survive any falls or rough handling by airport security. 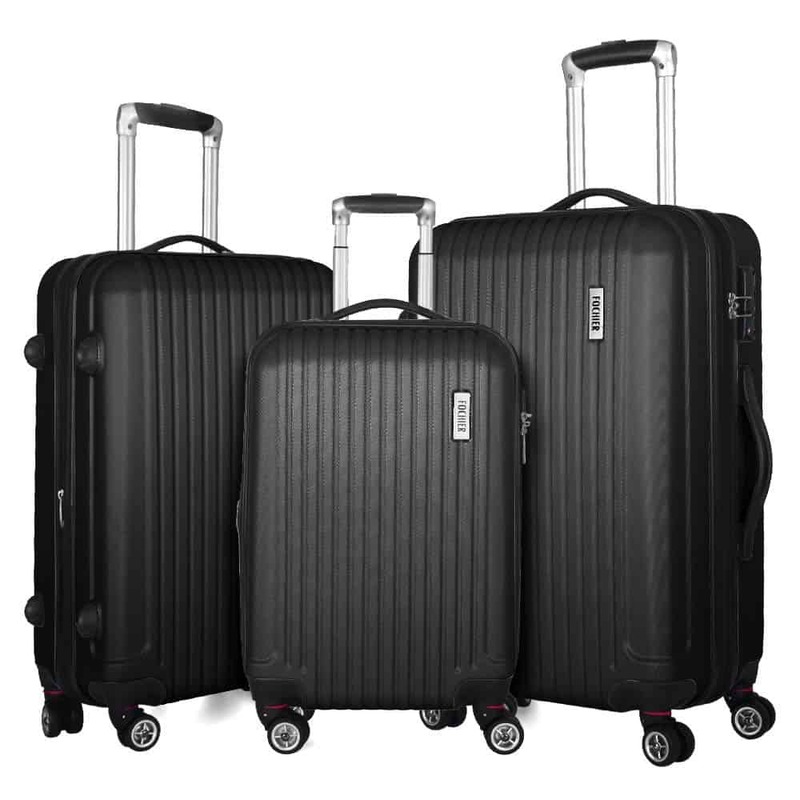 As for bonuses with this luggage set, you’ve got 360-degree multi-directional spinner wheels. Whilst this seems like it isn’t a big deal, it’s actually massive. You will be able to benefit from effortless mobility, and it will easily roll around the airport in any direction without any worries. The interior is specifically designed to keep your clothing packed neatly, and that is just another reason why this luggage set is ideal for most travelers who care about looking stylish. On top of that, the durability is helped with the TSA combination lock. This provides us all with the peace of mind that our cases will never be broken into and our things will not be lost. This set will definitely guarantee that you look stylish, and you’ll also have a luggage set that is super durable. You’ve got three options for traveling with, and they all look especially great. You will love this option. This luggage set has four pieces, something that is often not considered by those looking to purchase a set. Not only does it have the classic three sizes of spinners, but there’s an additional tote/messenger bag that you can use for check-ins or smaller trips. All four pieces of luggage are great for their specific purposes, and that’s the main thing. Aside from that, the 1680D poly material is different to many luggage sets. Rather than opting for a hard-shell, they’ve opted for a luxury poly that looks great and feels great to the touch. 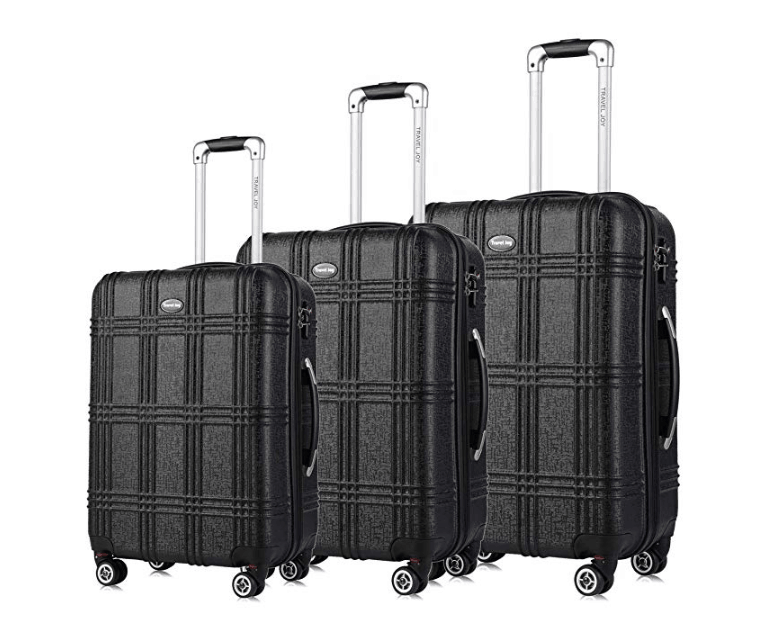 Similar to other luggage sets, they expect you to benefit from the 360-degree spinner wheels on the three spinner cases. Getting a soft-shell case with smart-looking material can be difficult. This luggage set provides you with four pieces of luggage that tick all of the boxes. Kenneth Cole is one of those brands that causes people to sit up and take notice. They are known for their quality, and they wouldn’t jeopardize that just for a luggage set. They’ve really gone the extra mile to make these cases look the part. They are all super stylish, well-branded, and just generally look like a fun time. They come in a selection of colors, too, in case you don’t like the one in the photo. If we concentrate on the durability, it’s a super durable ABS exterior for the entire set, and this suggests that it’s going to last you a good while. 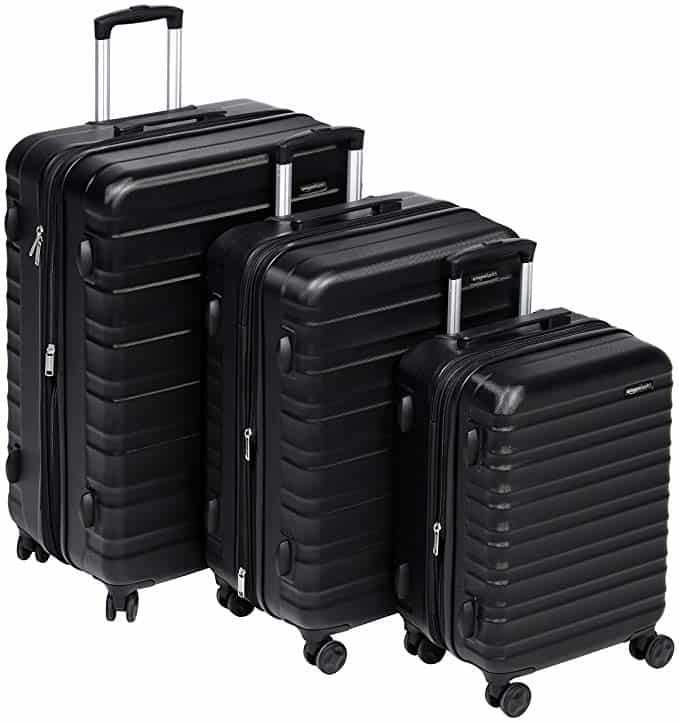 As with many other luggage sets, this one from Kenneth Cole features retractable, locking handles and four-wheel 360-degree construction, giving it the ultimate convenience. If you are someone who likes to guarantee some sort of reliability, then it is probably best to go for a brand that you recognize. Kenneth Cole here provides a luggage set that is both stylish and durable, and you’re getting a brand name you trust. This luggage set has really prioritized durability, and that is something we love. Made from resilient PC hardside, the set has enhanced toughness, and it has been developed to be sturdy and lightweight. On top of that, the surface has been coated with a premium carbon fiber look. This helps with making the set more durable and prevents scratches and general damage from the pain of traveling. On a plus, the carbon fiber look is something that improves the style of the luggage set also. You are sure to look great with this luggage set, and you’ll be pleased to know that they do come in many different colors. Travel Joy, the brand that produces the set, even offers all customers a 5-year warranty. We really value this additional extra, because it means that they expect the set to survive at least 5 years. For the price, this is a very affordable set, especially when you divide it by the number of years that they expect it to survive. If we then look at the practical and physical positives, the luggage set is expandable, allowing for 20% extra packing capacity. Built-in TSA locks are also included, giving you that extra bit of security when you’re on your adventures. If you really want your luggage set to be stylish and durable, then this one with a carbon fiber surface has to be the one for you. AmazonBasics is one of those brands that doesn’t really get you too excited but is one that you shouldn’t sleep on. People frown upon Amazon as a brand, because they see it as akin to the cheap supermarket-branded food that you’ll find at the local store. Amazon, however, really doesn’t want to be known for providing their customers with poor quality products under their name, and as a result, they go the extra mile to ensure durability and style. Perfect. This entire set is made from a protective hard shell with scratch-resistant finishes. Specifically, the luggage set is made from extra-thick ABS – thicker than the competition – so they really believe in their product and how durable it is. In terms of the accessories, this AmazonBasics luggage set matches the competition stride for stride: from the expandable packing capacity to the double spinner wheels. All in all, this seems a great option if you are after an affordable luggage set. Even though Amazon is the biggest company on the internet, their private brands are still quite untrusted. People don’t rush to buy AmazonBasics products, but this one that you should be rushing to buy. Durable, strong, and stylish. First things first, this luggage set is one of the broadest that we have seen. It comes with 5 pieces, from the larger spinner cases to a duffel and one that is pretty much a wash bag size. We find this to be great, because this gives you even more flexibility and options. The problem with 3-piece sets is that you’re typically limited to just using them at the airport or if you’ve got larger trips coming up. This set comes with a couple of duffels and a wash bag, so you are covered for all sorts of traveling and for all purposes. The set itself is nested, meaning that the smaller pieces can be packed within the larger pieces, which is even more convenient if you’re going on a trip that requires all of them to be taken with you. If we look at the material, the front panel is made from EVA foam, meaning that you get a clean, tailored appearance and something that would survive quite a few bumps, scrapes, and issues that would typically happen. The Samsonite name generally provides you with great quality, and this is no different. Coming with 5 pieces, this luggage set offers loads of flexibility, and the material is reasonably durable, too. The best lightweight luggage sets are a great option for those who want to go to the airport and make their journeys as comfortable as possible. Lugging around a case that is heavy and solid can be painful. Getting a lightweight spinner suitcase with a durable ABS hard shell gives you the combination of scratch-resistant, pressure-resistant durability with the style and comfort of a lightweight case. On top of that, you get a two-year warranty. Depending on the number of times that you travel in a year, this could make it worthwhile for you.. For a regular person, 20 uses could mean that you’ll be lasting at least 5 years, and for the money that is worthwhile. In our opinion, a lightweight luggage set is the most stylish, and this one really proves that. Alongside the style, they have really committed to durability. This luggage set is one that is affordable yet still worth every penny. It is a four-piece, making the most of an additional, smaller bag that is suitable for carrying. If you are taking all of them, then the smaller one can be nested within the larger ones, and that makes it ideal for travel. The luggage set is crafted from durable PVC backing. The material is not the greatest ever, but it is one that is both affordable and durable in equal measure. In terms of the aesthetic, this luggage set is not the best looking, in our opinion. However, you still have an element of style, and there’s no doubt that you can customize it by picking out which color you prefer the most. Looking at the customer reviews, we can see that they have thousands of positive comments. We always feel that this is a fair reflection of how good the product actually is. This lightweight, expandable luggage set is an excellent, affordable option because it provides you with four pieces for a low overall cost. Despite the low cost, you get durable materials and some stylish color options. 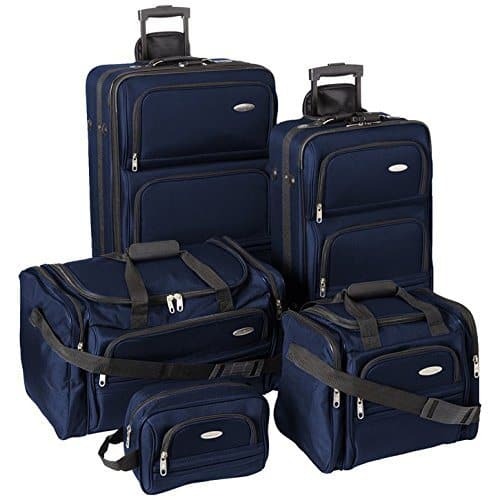 This TravelJoy expandable spinner luggage set is made from ABS hard shell. As we have discussed throughout this article, ABS is resilient, sturdy, and lightweight. This means that the case is more durable, and it is more likely to survive scratches, bumps, and general rough airline treatment. The shell itself has added impact-resistance, so the case itself can survive a few falls, and the rough treatment that airline workers give them. Also on that note, TSA-approved locks will stop any theft at the airport, adding an extra layer of convenience and security. The style itself is so tasteful. They come with a great style and with many colors. 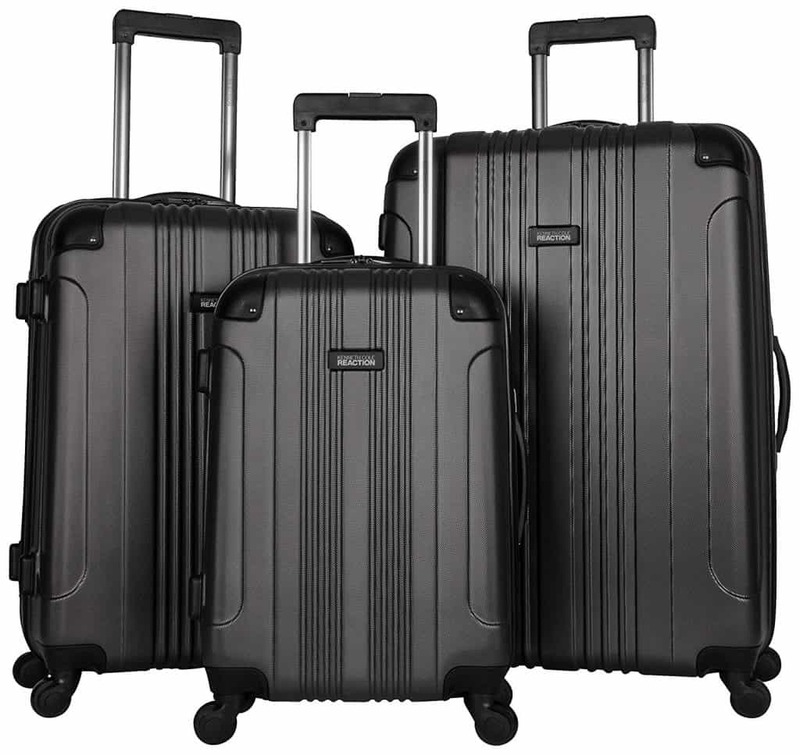 This luggage set is very impact-resistant, and it is made from ABS hard shell. Not only that, but they are stylish and look great, so it ticks all the boxes. A key thing to consider before choosing luggage is just deciding the primary purpose. Obviously, it’s for traveling, but you can narrow that down even further. Are you just a weekend traveler? Are you an international traveler? Just by looking at those two examples, you can already see the problem. A weekend traveler needs less room than someone who is going international every month. Ultimately, it is important to take the purpose that you are buying for and just let this decide what kind of luggage case you go for. If you just need a carry-on, then this should be what you go for and vice versa. Another thing to keep in mind is what you actually take on trips. If you’re a small man with size small clothing, then there is always the possibility that you will need less total capacity than a 250lb man with size XXL everything. On the other side of that consideration, you need to think about all of the accessories. If you many electrical items, then this may require you to buy a heavier, sturdier piece of luggage. One thing we love to recommend is buying luggage that comes with a warranty. Even though we believe that the majority of luggage should be durable, and that you should only buy a case if it is known for being durable, it is doubly safe to buy with a warranty. Often, you travel without your luggage in hand. As soon as it crosses check-in, you won’t see it until your final destination, and everything that happens to it in this window is out of your control. A warranty will give you an extra security barrier, and you will feel a lot happier knowing that you’ll be getting a refund should anything catastrophic happen. Not all airlines have the same capacities. Each and every airline will have a specific maximum size for their luggage cases – both check-ins and carry-ons. The most important thing to note here is that you should buy to cover yourself with many airlines. Check the allowances for several airlines you see yourself flying with, and buy something that fits as many of them as possible. Not everyone travels by air, so if this tip doesn’t apply to you, then please don’t worry about it. The material of your luggage is important. You can either go for hard-shell ABS or something soft. Ultimately, this all comes down to personal preference. Some of us prefer to have something that looks and feels sturdier and so opt for the hard shell, but some of us prefer the lightweight poly feel that you can get from soft-shell alternatives. When choosing your luggage, we are sure that you have come across the all-too-familiar dilemma: hardside or softside. Whilst the distinction is obvious looks-wise, there are many low-key advantages and disadvantages to each. Softside luggage is generally seen as being weaker, because it doesn’t offer as much protection. However, softside luggage actually flexes under pressure and can stay tough, even though it doesn’t seem so. Underneath the flexible nylon or poly outer shell, they often have a reinforced shell. So, even though you are not getting the visual reinforcement, your things are often still kept safe. Knowing that makes it clear why so many people prefer to buy softside luggage over others. Additionally, softside luggage is flexible and can fit in spaces that you will not get away with when using something hard-shell. Also, they can take a lot of damage all of the time. This sounds counter-productive, but the nylon materials that are often used for the outer shell can just take it on the chin. If you think about it, if it catches on a corner, the suitcase won’t scratch and stay stuck like that forever. A hardside case, on the other hand, is more than likely to retain scratches and bumps. “Hardside” refers to the shell. The shell is not made to be completely bulletproof, but the shell itself does provide a bit of extra support when it’s being thrown around by airport security and baggage handlers. However, we feel that if your case does take a good enough throw, then your contents inside will still be smashing about and getting damaged, but some people prefer the visual and ‘general’ security that a hard-shell case provides. Hard-shell luggage is not flexible, though. For many of us, this isn’t a problem. We’d rather our things were inside a rigid case than something that flexes and molds to pressure. But it is worth noting either way. In an airplane, for example, you may need to shove your things into an overhead bin, and if you’ve misjudged the sizing, then you may have issues with a hard-shell case. Regardless of whether you go for softside or hardside luggage, we feel that you’ll be happy with your choice if you’ve made the choice that’s right for you. Picking out 9 of the best luggage sets for men was quite a difficult task. Obviously, there are thousands of sets out there, and many of them are great for their own reasons. Whilst we do not want you to take our picks as gospel, we hope that they have helped you to form an opinion. Choosing the products was simple, and that was because we stuck to the criteria that we laid out earlier on in the article. Primarily, we had to make sure that the cases were top quality, and, under this umbrella, we wanted to guarantee a good price, durable materials, and reliable brands. By ticking all of these boxes, we were more than comfortable in suggesting these luggage sets to our readers. Finally, we really had to make sure that others love the products that we were recommending. This fits in with the point that we made earlier about customer reviews. By choosing products that many other people love, then we feel confident that you will, too. Our opinions only go so far, so we feel like thousands of others supporting the positivity says a lot about it. Many of us travel multiple times a year, and that is why picking out a good luggage set is so important. We are not always in the need for a massive suitcase, yet we are not always in need of something as small as a carry-on. A luggage set provides you with the security of having something for every scenario. In this article, we have tried to provide you with a place where you can go to find out everything you need to know about luggage sets. From purchasing tips to the differences between different types of cases, we have included it all. Primarily, though, we wanted to provide you with what we see as the 9 best luggage sets for men. We did not make these decisions lightly, and we made sure that they all met our specific requirements. However, we are interested in hearing from you, especially if you’ve got a different luggage set from the ones that we are have listed above. Let us know about your favorite in the comments, and we’ll get back to you as soon as possible.